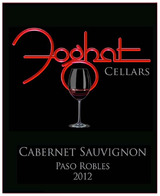 The 2012 Cabernet Sauvignon possesses a classic profile with aromas of dark red fruits. Bright and rich on the palate, this wine is brimming with flavors of red currants and cassis and has an underlying minerality. A strong mid-palate and well integrated tannins lead to a long seamless finish. Delicious now, this wine will continue to develop for years to come.